Very Strong can last up to two decades. Used to protect valuable crops against scavenging pigeons or to prevent or deal with feral invasions in an urban environment. 1. Used to protect valuable crops against scavenging pigeons or to prevent or deal with feral invasions in an urban environment. 2. Our bird netting helps you protect your garden prevents birds from eating your vegetation and fruit crops, berries, flowers. 3. 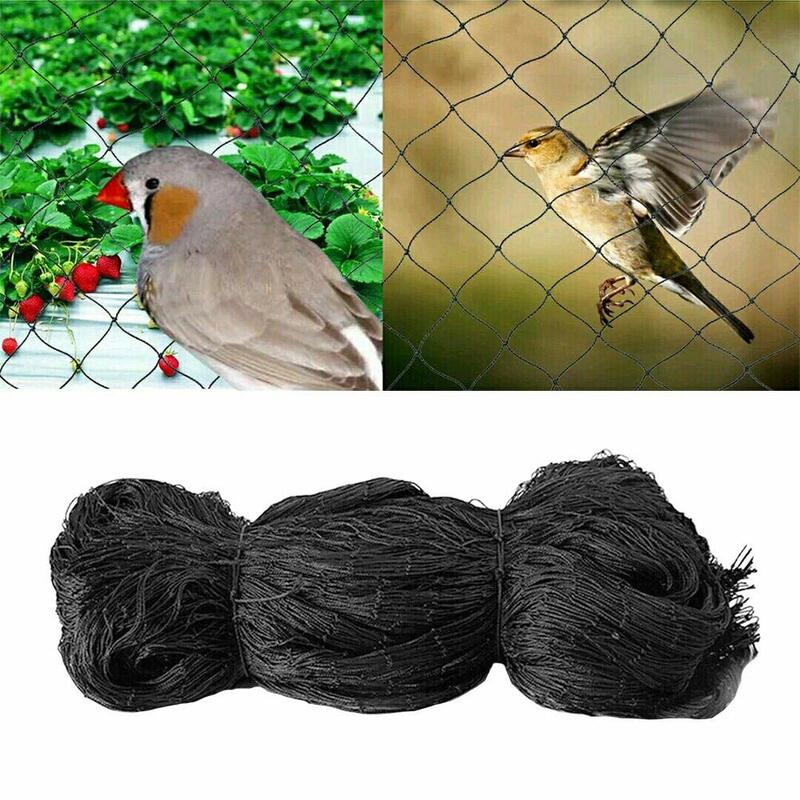 Won’t harm your birds , bird netting as an outdoor cover like a fence, bird proof barrier is wildlife friendly unlike a chemical repellent spray. 4. It’s soft, easy to set, pack and cut to size. Can be cut to size without fraying to suit multiple garden purposes. Can be used with garden fencing, a fence screen or as a temporary measure. 5. Very Strong can last up to two decades. Won’t harm your birds , bird netting as an outdoor cover like a fence, bird proof barrier is wildlife friendly unlike a chemical repellent spray. It’s soft, easy to set, pack and cut to size. 4Can be cut to size without fraying to suit multiple garden purposes. Can be used with garden fencing, a fence screen or as a temporary measure.